Brad MacIsaac prominently wears two hats at the University of Ontario Institute of Technology (UOIT). With his pulse firmly on institutional research as Assistant Vice-President, Planning & Analysis, MacIsaac leads a team dedicated to rigorously examining student data related to enrolment planning, budget modelling and space forecasting, and their subsequent integration. He also serves as UOIT’s Registrar, leading student recruitment which includes international students, records and registration, financial aid and awards, scheduling, and convocation. MacIsaac has spent nearly two decades establishing a career by the numbers. At UOIT, he gathers provincial, national and international student data to provide strategic analysis and recommendations on UOIT’s best path forward in creating a culture of student engagement and fulfillment. 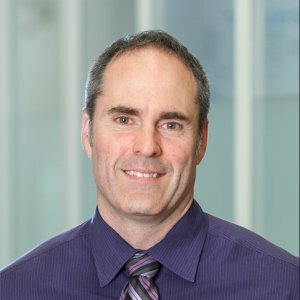 He joined UOIT in August 2003 as a Planning and Budget Officer in UOIT’s Faculty of Health Sciences where he developed and managed a $7 million budget. In 2009, he was appointed Director of Academic Planning and Operations, and rose to Assistant Provost, Planning and Analysis in 2011. Small town Nova Scotian roots have guided MacIsaac’s interest in startup roles throughout his career. Prior to joining UOIT, MacIsaac was appointed Senior Co-ordinator, Enrolment Management and Resource Planning in Atkinson Faculty at York University, where he focused on new projects including enrolment modelling during the double cohort and transitioning from college diplomas to collaborative degrees. In 1999, he served as Co-op Development Co-ordinator in the Faculty of Administration at the University of New Brunswick (UNB), promoting its first Business Co-op Program, and facilitating the startup of the university’s international education programs in the Middle East, Africa and the Caribbean. MacIsaac began his career in the Armour and Artillery Schools of the Canadian Armed Forces. His military experience has profoundly influenced his leadership roles at UOIT by infusing structure within his team while driving a collaborative decision for the best possible outcome for students. A business major, MacIsaac received his Bachelor of Arts in Commerce from the Royal Military College in 1996, earned his Master of Business Administration from UNB in 2000, and in 2005, completed a University of Manitoba Certificate in University & College Administration. Previously, he taught undergraduate courses at UOIT, York University and UNB. As Registrar, MacIsaac leads student recruitment in Canada and abroad, and oversees enrolment services for more than 10,000 students on campus. MacIsaac leads institutional research at UOIT related to current and projected student data, and provides strategic planning and analysis, integrating forecasts to include budget, infrastructure and human resources. MacIsaac is a member of nine CUPA committees including Chair of its Professional Development Committee. Despite a downward trend in applications from high school students across the province, UOIT is reporting its highest number of applications for admission across a wide range of programs in 2015-2016. For the first time, UOIT's enrollment surpassed 10,000 students for the 2014-2015 academic year.